Idiosyncrasy Central with Richard Brautigan. Was a time when his flame burned brightly and he was showered with critical acclaim, particularly with the publication of his short story collection Trout Fishing In America. It didn't last for long, however, and he soon fell out of favour and from grace. Published in 1971, Revenge Of The Lawn offers clues as to why this might have been. Of the 62 short stories collected here, just a few of them are actually worthy of publication. I mean, they're alright but they read as though they're really ideas for short stories taken from a notebook rather than fully developed pieces. Written over a period of about 7 years, there's little to suggest (unlike in Trout Fishing) any sort of theme or focus. 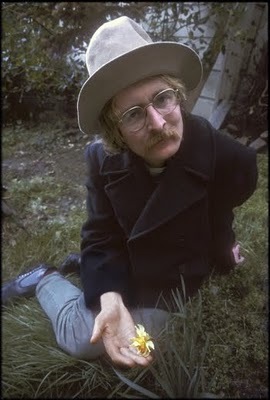 They even come across as almost a cash-in on the success of Trout Fishing, as though his publisher was keen to get another book out to Brautigan's newly established readership and so asked him what else he had? "Well, I've got these," Brautigan possibly replied "But they're really just my notebooks." His publisher took them anyway: "It's cool, man. Your readers will dig 'em," so his notebooks were published under the title Revenge Of The Lawn without taking into consideration what it was that made Trout Fishing In America so endearing. Of all the stories and observations presented here, only two really stand out and perhaps it's no coincidence that they're also two of the longest? Post Offices Of Eastern Oregon concerns itself with the news of the death of Marilyn Monroe and the memory it evokes in Brautigan. It takes him back to the time when he was a child and going on a hunting trip with his uncle. They arrive at a small town in Oregon and see two dead bear cubs being lifted from the back of a pickup truck and laid onto a porch of a house. The other story that stands out, entitled A Short History Of Oregon, is a snapshot of a memory of a time when aged sixteen Brautigan went out hunting by himself. It's pouring down with rain and he believes himself to be alone in the woods until he comes across a house at the end of a logging road. As he'd been enjoying the solitude, the discovery disappoints him. It's when writing like this that Brautigan is at his best as he conjures up both child-like innocence and the surreal, with one always bleeding into the other. He evokes a stoned-like ambience and imbues his stories with a sense of wonderment and hidden meaning. Ideal reading for hippies, in a way, contemplating how many angels can dance on the head of a pin. 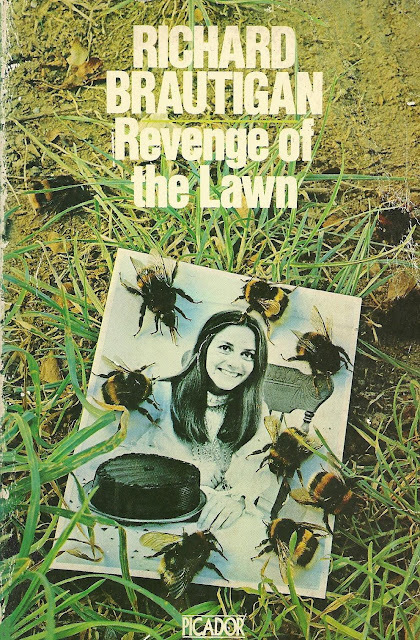 Brautigan's appeal, however, was a double-edged sword and he struggled to retain the attention and interest of his readership; not helped by his publisher putting out books of lesser quality such as Revenge Of The Lawn. Inevitably, obscurity beckoned. Having said that, I would still suggest that Richard Brautigan deserves to be remembered and not just left consigned to the past as a relic of the Sixties, if only for no other reason than for him and his writing being and remaining ever so slightly odd.